Students who took the new SAT this spring said they preferred the new format over its previous format, according to a College Board report released Tuesday. 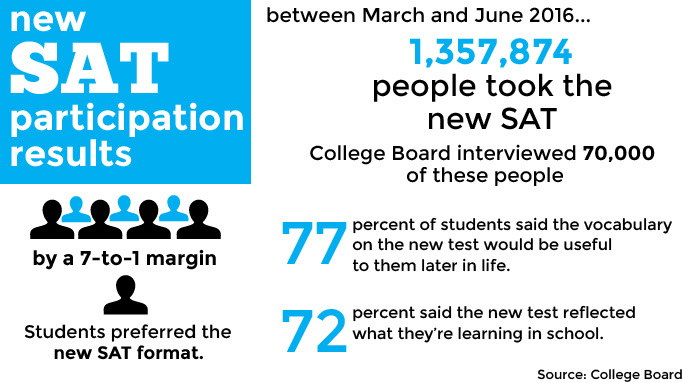 Almost 1.36 million people took the new SAT between March and June 2016, and based on the responses of the 70,000 student who the College Board surveyed, students said the new format is better by a 7-to-1 margin, according to the report. The new SAT came to light when the College Board announced in March of 2014 that it would redesign the SAT into a model that is more relevant to high school curriculum. The first wave of high schoolers took the redesigned test this spring. 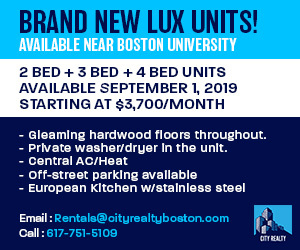 As high school students who took the new SAT start to apply for college, Boston University spokesman Colin Riley said it’s too early to make any assumptions about how the university may alter its admission processes to accommodate the new test. “It’s premature to make any determination or judgement on what could change, but since [the SAT] is not something that is necessarily a determinant factor in the admissions process, I know admissions will learn more as the years go on,” Riley said. Riley also said BU prioritizes a student’s GPA and academic standing over standardized test scores. Hardin Coleman, the dean of the School of Education, said the new SAT will not solve the problem of not being the fairest assessment of students because it allows for an economic advantage. Coleman said the new SAT may result in more problems because it is a more complex assessment. As for current BU students, many seemed to share similar views on their own SAT experiences. Isabel Stevenson, a sophomore in the College of Arts and Sciences, said universities should focus on grades instead of test scores. Griffin Di Stefano, a sophomore in the College of Engineering, said he didn’t want to be judged by the results of a single test. Shalini Ramaswamy, a sophomore in the College of Communication, said the SAT still does not accurately represent a student’s academic ability.